After exploring the worlds of Zootopia and San Fransokyo, Walt Disney Animation Studios returns to their princess roots for their 56th feature film MOANA. However, we haven’t known much about the characters populating this South Pacific tale. Until now. Disney finally revealed the MOANA characters, and co-director John Musker said “our assembled voice cast for this film is beyond our wildest dreams,” said Musker. Inspired by the people they encountered during their travels to the islands of the Pacific, the filmmakers populated their story with a host of dynamic characters. A top-notch voice cast helps bring the MOANA characters to life. 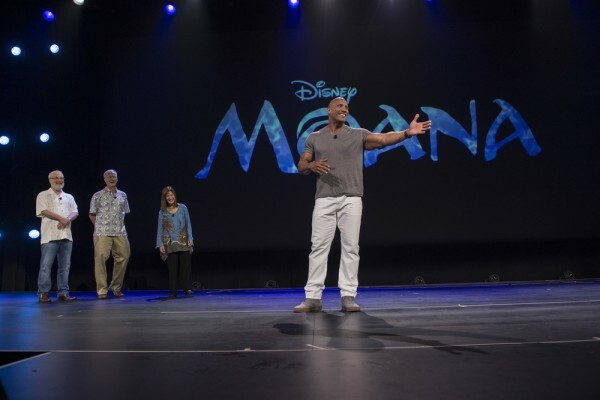 Continue reading for more details from Walt Disney Animation Studios’ press release, and click here for all the news on Disney’s MOANA. Moana (Auli’i Cravalho) ©2016 Disney. All Rights Reserved. Voice of Disney’s MOANA is native Hawaiian newcomer Auli’i Cravalho, 14. Photo by Hugh E. Gentry. ©2015 Disney. All Rights Reserved. Maui (Dwayne Johnson) ©2016 Disney. All Rights Reserved. Moana’s confidante and best friend, Gramma Tala, shares her granddaughter’s special connection to the ocean. Although her son, Chief Tui, is a no-nonsense leader, Gramma Tala most definitely dances to the beat of her own drum. She feels in her soul that the ocean has big plans for Moana, but she won’t reveal the legendary secrets of their wayfinding ancestors till the time is right. Rachel House provides the voice of Gramma Tala. Gramma Tala (Rachel House) ©2016 Disney. All Rights Reserved. Though it may seem like they are worlds apart, Chief Tui and Moana have more in common than either of them realize. Temuera Morrison lends his voice to Chief Tui. (L-R) Chief Tui (Temuera Morrison) and Sina (Nicole Scherzinger) ©2016 Disney. All Rights Reserved. The Kakamora are wild, coconut-armored pirates who live on a trash and flotsam covered vessel that floats freely around the ocean. The Kakamora may be small, but they are ruthless warriors who will stop at nothing to get what they want. Kakamora ©2016 Disney. All Rights Reserved. Tamatoa is a self-absorbed, 50-foot crab who lives in Lalotai, the realm of monsters. The conceited crustacean wants to be more than a “bottom feeder” and overcompensates for this perceived shortcoming by covering himself in all things shiny. The avid collector fiercely holds onto his ever-growing array of artifacts, along with a nasty grudge against Maui. Jemaine Clement provides the voice of Tamatoa. Tamatoa (Jemaine Clement) ©2016 Disney. All Rights Reserved. HeiHei is one dumb rooster—the village idiot, in fact. When the clueless chicken accidently stows away on Moana’s canoe, he lands a front-row seat for her epic journey. But when Maui targets the feathered fowl as his next meal, kind-hearted Moana sticks her neck out to save Heihei. Walt Disney Animation Studios’ lucky charm Alan Tudyk is behind the voice of HeiHei. HeiHei (Alan Tudyk) ©2016 Disney. All Rights Reserved. Pua is Moana’s loyal pet pig with puppy energy and an innocent puppy brain. He’s guileless and sweet—he’d do anything for Moana. Pua just wants her to be happy. Pua ©2016 Disney. All Rights Reserved. 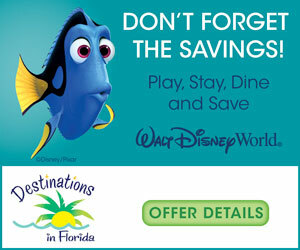 For more family movie news be sure to follow Adventures by Daddy on twitter and “like” our facebook page too.